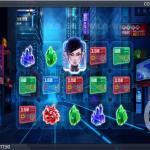 Kaiju by Elk Studios is the newest slot machine by the developer to hit the market. It has up to 7776 ways to win across its 5×3 Gaming Grid. As the title of the slot indicates, the online slot machine takes you into the Japanese world of Kaiju. That world is full of monsters attacking cities and engaging with other huge monsters and the army. 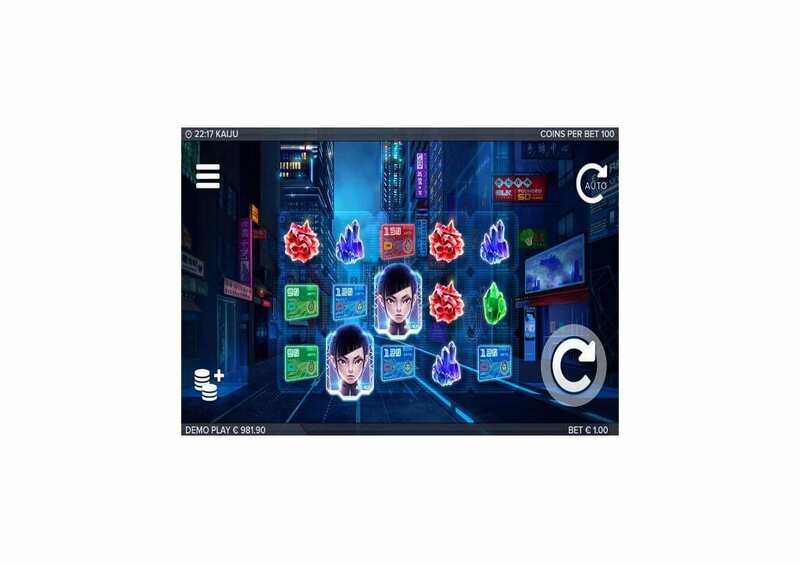 The slot machine has impressive visuals and 3D symbols, in addition to great sound effects that will engage you into the theme. Also, there are many features and unique symbols that you can take advantage of during the gameplay. 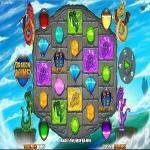 Kaiju is the brand new slot machine by Elk Studios that has a lot to offer you. It provides you a fantastic theme that is about the Japanese film genre that always involves enormous monsters fighting each other or attacking major cities. The new Elk Studios slot has five reels, three rows of symbols and up to 7776 ways to win. 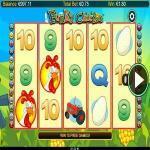 Therefore, whenever you start to spin the Reels of the slot, you are in for a treat. 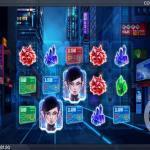 You will enjoy action and a monster-packed experience that also hosts multiple features and winning chances. You can play it here for fun and see all that Kaiju slot machine has to offer you. 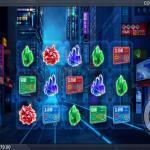 Kaiju online slot machine by Elk Studios is a fantastic slot machine that has five reels and a total of 7776 ways to win. The slot machine has amazing visuals with an impressive theme. It takes you into the world of Kaiju that is full of giant monsters and the cities they destroyed. You can play the slot machine with stakes as small as 0.20 on multiple devices. Kaiju slot comes packing plenty of features that can guarantee you a rewarding ride whenever you spin the reels of the slot. There are sticky wilds, Kaiju Battle free spins, and winnings that are up to 1305x the stake. 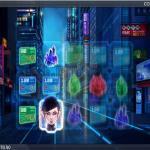 So get ready to enjoy a high variance Elk studios slot that will entertain and reward you throughout the gameplay. You can check out the new Elk Studios powered slot machine here for free with demo credits. Take Kaiju slot out for a test run to see all that Kaiju has to offer you, before placing real money stakes. Kaiju means Strange Beast in Japanese, and this is why it is the title that refers to a Japanese movie genre that always includes massive monsters. These monsters are usually attacking each other and other cities as they engage with the military. The type is a subgenre of Tokusatsu Entertainment. There are many monsters in that genre, but perhaps the most popular one is Godzilla. Other monsters included Gappa, Daimajin, Rodan, and Mothra to mention a few. So through the reels and the lines of the Kaiju slot by Elk Studios, you will go to a Japanese city that is under attack by several monsters. So you better be ready for the action, the rewards and the adrenaline pumping through your veins as you spin the reels. 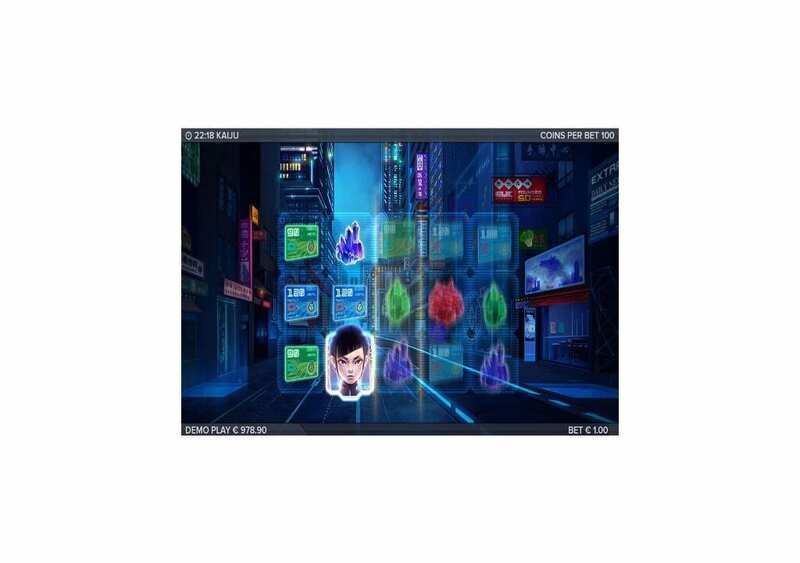 The online slot is going to engage and immerse you in the theme through its visuals, sounds, and a high-quality intro clip. 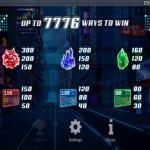 Kaiju online slot machine has five reels with a total of 7776 ways to win. The online slot is the brand new Elk Studios, so you can expect state of the art visuals and sound effects that will engage you into the theme. There is also a high-quality intro clip that will let you into the theme and the story of the slot machine. The visuals are colorful, and they depict the Kaiju theme of the slot. Therefore, you will see that the reels take place in the Japanese city that is under attack by massive monsters. The City is in the middle of the Pacific Ocean, as it is the last human settlement. You will see HA-42, the female Cyborg who hunts down Kaiju monsters, she is the last hope for humanity. 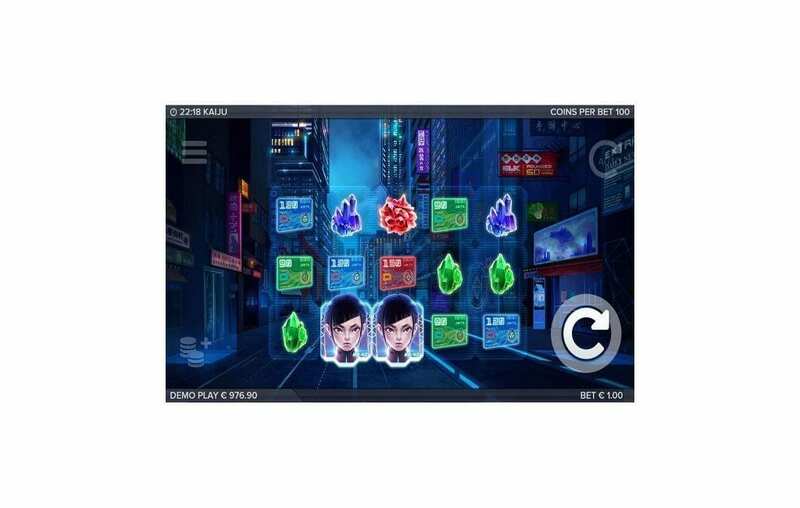 The icons that are going to appear on the reels include credit cards, red gems, blue gems and green gems. You will also see the mighty Wild Red gem and HA-42 herself. All of the symbols are in 3D, and they will help immerse you in the theme of the online slot, all courtesy of Elk Studios. 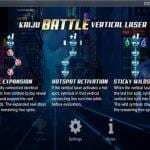 Kaiju is a high-paying online slot machine that has an RTP of 96.3%, which is a high percentage when you compare it to most online slots out there. The slot is high variance, so you can expect to cash it in big whenever you spin the reels of the game, as you place big bets. You will be able to choose from a set of bets that vary between 0.20 and 100 credits for every single spin. 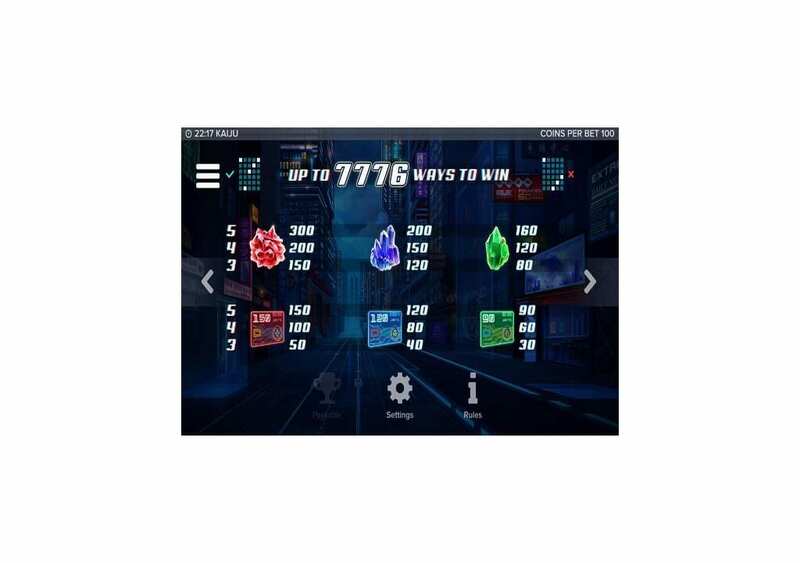 Kaiju has up to 7776 ways to win, so you can expect to find plenty of winning chances. The highest payout that you can claim by matching symbols is equal 300 coins. The jackpot payout that you can claim at Kaiju is equal 130,440 coins. You can view all of the different line prizes and payouts by opening the paytable of the slot machine. Whenever you get three identical symbols that are connected vertically during the base game, you will reveal a wild on the row above. The wild is going to help you in creating more winning combos through the 7776 ways to win. 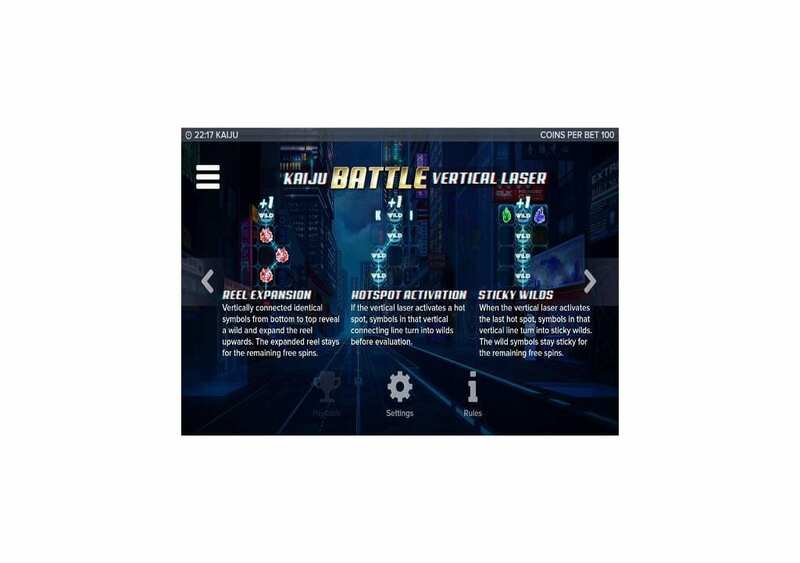 If you manage to get three of the female Cyborg (HA-42) bonus symbols, you will trigger the Kaiju Battle Bonus that comes with seven free spins on the slot machine. The bonus feature starts with seven free spins; the game will select one random Kaiju with a pattern of hotspots as an opponent for the bonus game. Every reel expansion will trigger one extra free spin.